Little Metal Print’s manager Dylan made the sweetest video of MaryKate Maher and I installing View Finder. Totally worth sharing! 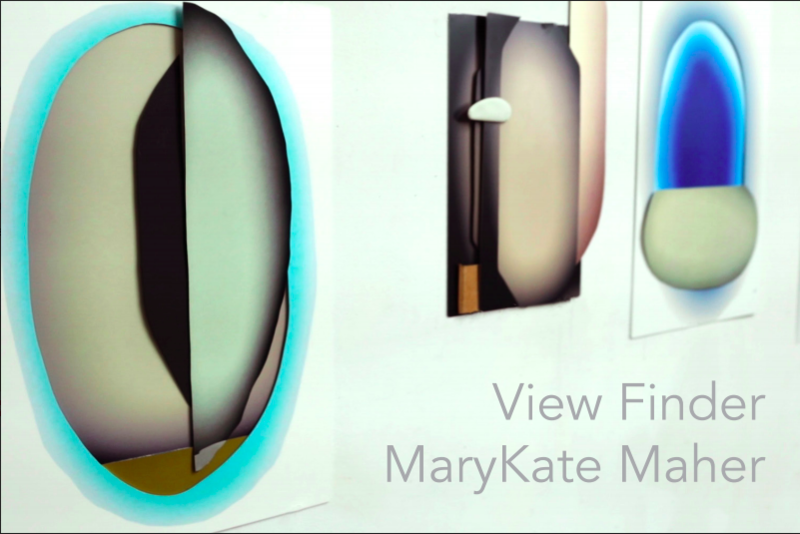 Little Metal Print is please announce View Finder, a solo show of new works by MaryKate Maher for our inaugural exhibition. Organized by guest curator Amanda McDonald Crowley, Maher will debut new sculpture and relief forms created with dye sublimation prints. Maher draws inspiration from nature and the post-industrial environment. Exploiting materials that reference landscape, Maher focuses on how we visually perceive space as both flat and dimensional. Maher plays with expectations of form, and disrupts perceptions of volume and weight. She manipulates her materials to obscure their origins: resins are cast, sanded and weathered to look like stone; a patinated copper surface reveals itself to be concrete and foam; dye sublimation prints are cut and inlaid into sculptural forms, altering the negative space. For View Finder, Maher is presenting new relief works based on light refractions in water and frozen air pockets in ice. “I am interested to experiment with light to produce unique sculpture reliefs that have slight bends and curves to their form,” says Maher. The Fifth House and PointB are pleased to announce the exhibition The Skypod Project, an exhibition of sculpture, photographic, and audio-visual works by artist Mark Parrish. The Centerpiece of the exhibition, the Skypod itself is a collapsible light-weight tent structure capable of hanging from trees, cliff faces, telephone poles or building facades allowing for suspension over diverse terrains. 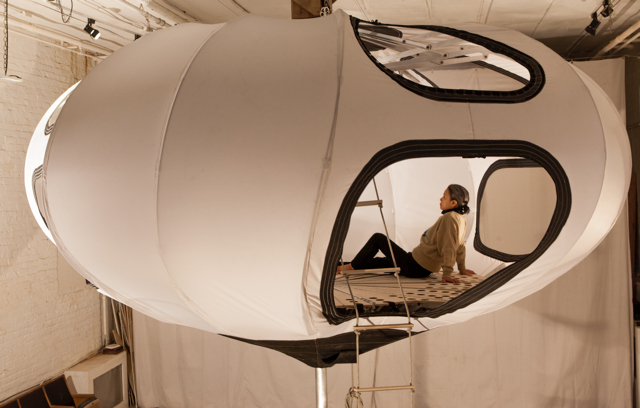 This portable experience structure creates a mobile habitat for site-specific projects to evolve. At The Fifth House we will exhibit a working prototype of the Skypod that explores the context for the piece and situates the research Mark is concurrently doing at Dreamland – a creative community, the Fifth House’s sibling organization, in the deep woods of upstate New York. Night skies, frog songs, Vista Tunnels (constructed poetics views into the wetlands and woodlands at Dreamland) will frame the work. Inspired by recent trips to various locations around the world where he has been researching urban and natural settings for artistic and creative retreats, Parrish has returned to a project that has long been in gestation: designing portable habitats where individuals or like-minded groups can immerse themselves in a range of contexts from natural settings, to interstitial zones, and temporary spaces – to create, contemplate, and build cohesive communities. The Skypod Project, Parrish’s first solo gallery exhibition in 20 years, combines his experiences building social sculptures as live-work spaces, with his ongoing project to make in-situ works in natural contexts, and his passion for creating ‘portable experience structures’ – artworks that operate as an enabling apparatus for his audiences, and often also collaborators and co-conspirators, to engage with their surroundings. All-Night Party at Marcy North (upstairs) to follow the opening! 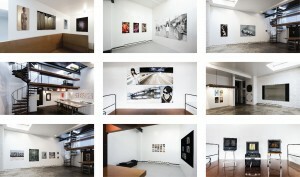 Exhibition dates: September 16 through October 30. Gallery Hours are Saturdays from 11:00 am-1:00 pm or by appointment. Mark Parrish is an American visionary, designer, and artist from Texas who has lived in New York since the 80’s. Primarily self-taught, Parrish started his own studio in Austin in the mid 70’s. His practice often involves analysis of movement and portability, cultural norms and systems of living. His work takes form in sculptural systems and synergetic architectural space, designed both as tools and as experiential spaces. 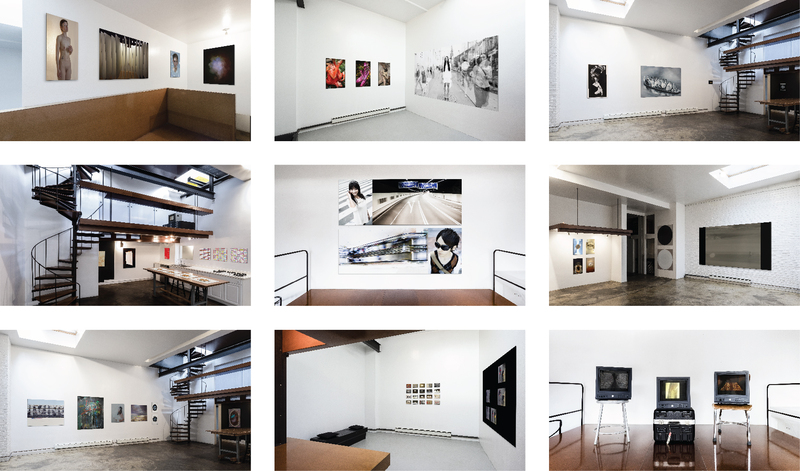 For the last 20 years, Parrish founded and established an international artist community called PointB, which created short-term co-habitational spaces for mid-career creative professionals. Parrish also spearheads, the non-profit organization, PointB International, which continues to establish new locations worldwide. The PointB vision is a world enriched by the collaboration between global and local creative professionals questioning and transcending their familiar viewpoints while immersed in the social, scientific, and culturally enlightening challenges and inspiration of the moment. Gallery Hours are Saturdays from 11:00 am-1:00 pm or by appointment. The PointB Virtual Exhibitions Space is being developed as an accessible space to easily conceptualize and virtually install thematic exhibitions, with the goal of becoming a platform for peer to peer artists’ inspiration and discourse. In one sense PointB Virtual commemorates and immortalizes the PointB Worklodge Brooklyn location, that will soon be demolished. But more importantly, it is a tool to showcase ideas, directions and philosophies through exhibitions, lectures, screenings and conversations. These events are not being held in an unfamiliar simulated space, but in a place which holds memory of those who have previously inhabited and used the building in this way. In keeping with PointB philosophy, it is a place to propose and question conceptual frameworks for ongoing discourse though themed exhibitions. It is a space to continue to build and strengthen our community of nomadic creative professionals. For our inaugural exhibitions, we have included works by artists from across the world who have lived and worked at PointB Worklodge Brooklyn.